We gather in Ojai each year to learn and to experience profound joy. Over four exciting days, we experience more concerts than an average symphony season. You perform the art of listening in collaboration with artists; you give the Festival its true spirit. The innovative music, the intimate setting, and the feeling of connection are only possible because of our generous Festival family. We hope that you will help us create the future of music. After all, this is your Festival! 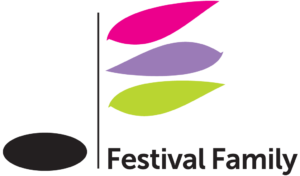 No matter how much you are able to give, please know how grateful and excited we are to welcome you as part of the Festival family. Members are the foundation of our family. Your contribution ensures that the music is heard. As a Member, you receive special opportunities to make your Festival experience even more meaningful, such as personalized ticketing assistance, reserved seating at rehearsals, and tickets to the Music Dawns Concerts at Zalk Theatre. From free community events to our Live Stream concerts, Partners have the opportunity to underwrite some of the Festival’s most important projects. For more than 70 years, Ojai has been synonymous with innovation, creativity, and adventure. Our artists and audiences desire forward-thinking, surprising musical experiences. This powerful legacy exists because of dedicated patrons like you, whose support inspires our artists to be bold and creative. Major gifts are the reason life-changing music happens each summer in Ojai. Your exceptional level of support allows us to welcome path-breaking artists, new works, and astonishing performances. We invite you to shape the future of the Ojai Music Festival. Individuals who contribute $5,000 or more become members of the Visionary Circle and enjoy exclusive opportunities. To recognize and thank you for your generosity, we offer the following benefits that take you inside the Festival’s creative process. 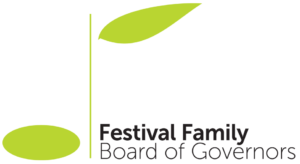 The Board of Governors provides those most interested in the Ojai Music Festival with an opportunity to be involved, be heard, and receive exclusive access. There are no obligations, only opportunities. Attend private events, serve on select committees, and provide an important voice for the organization – you make it happen. The Board of Governors demonstrate their exceptional support by making a minimum contribution of $5,000 a year. Visionary Circle members are invited to consider joining the Board of Governors.